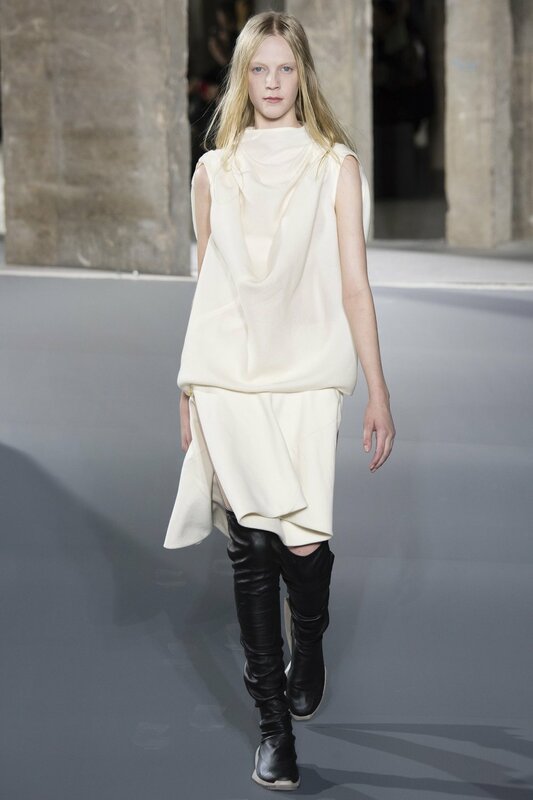 Bird’s nest, bed head to sleek straight hair, Rick Owens opened this show with simple, beige ruffled up dresses. His simple, elegant but extravagant style have once again emerged on the runway. 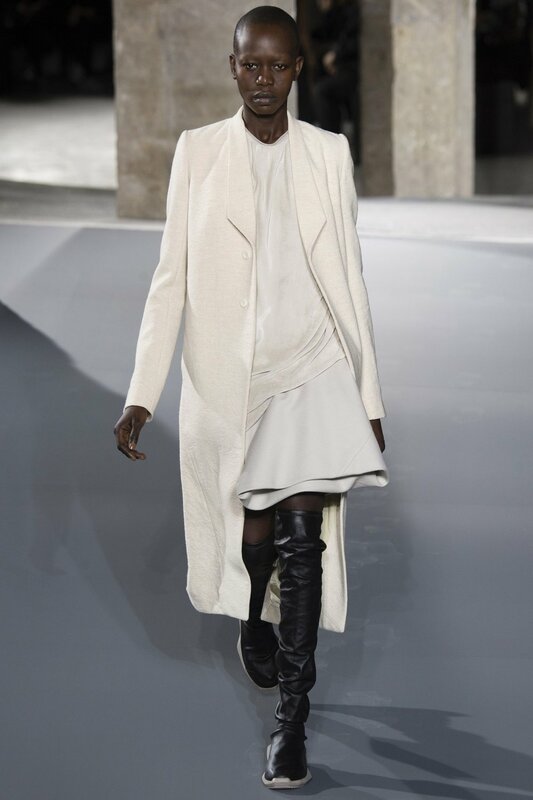 Monochromatic thigh high leather boots as accessories brings out the best of his contemporary approach to this collection.